..and yet vinyl still sounds better. Conclusion: Science has not yet figured sound and music out in full. Greatest video ever to prove science is not complete in this area. So buy more vinyl, and just know its better. Let's see: channel bleeding, monaural low-bass, high-passed sub-bass, high-frequency roll-off in inner groovers, off-centered records, speed stability, arm and cartige resonances, airborne and platter vibration pickup, dust and static, RIAA filter, transduction... What else, stampers start losing accuracy after first use? Blu-ray is nice but VHS still looks better. Wrong on all counts as usual. You must be deaf. 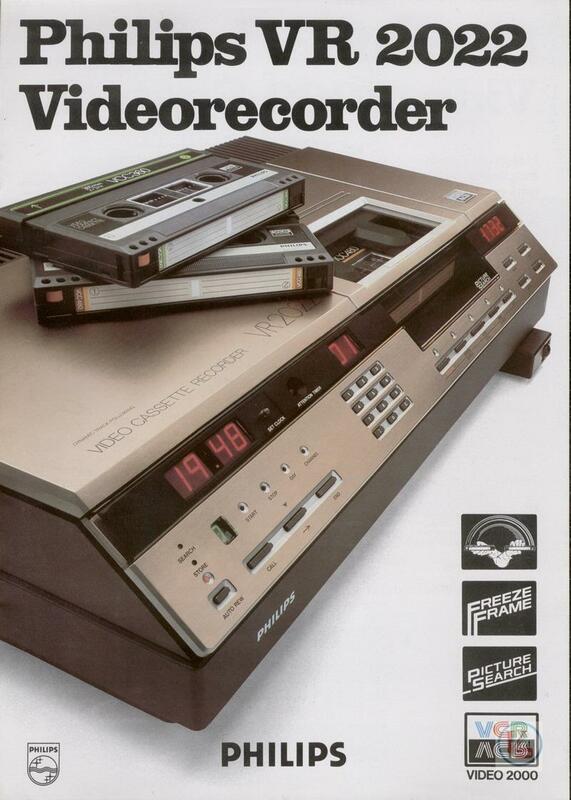 But not as good as Betamax. However, the Philips 2000 system was even better . I’m with @The Chronicals. I also have young ears, confirmed by a recent hearing test, and my vinyl rig is not high end - see my profile. But it sounds better than my digital setup. The turntable’s signal goes through an AD/DA conversion for room correction, so both my analogue and digital music pass through the same DAC. I sometimes have problems with inner groove distortion, there are some bad pressings and dust is sometimes annoying, but overall the music from my turntable is more palpably real, more organic, more tactile, fuller, punchier and more relaxing than music from my iMac/Audirvana. And obviously this is going to get messy/repetitive. My cousin had one of those. In fairness, it was a pretty good picture but it was a limited... much like laser disc. Listened to about 4 minutes until I became bored with the narrator's drone. Don't really see they feel the need for these poor excuse for comparing vinyl with digital. I love vinyl but also digital has its place. Some CDs sound triffick. I think a better comparison would be CDs v download. Love the notion each format has its own traits - keeps interesting.